Accomplishments & Recognition – Art Expression Inc.
Art Expression Inc. has been selected as a 2017 National Arts and Humanities Youth Program Award (NAHYP) Finalist by the President’s Committee on the Arts and the Humanities and its partner agencies, the Institute of Museum and Library Services, the National Endowment for the Arts, and the National Endowment for the Humanities. Art Expression’s selection as one of the 50 finalists distinguishes it as one of the top arts-and-humanities-based programs in the country. 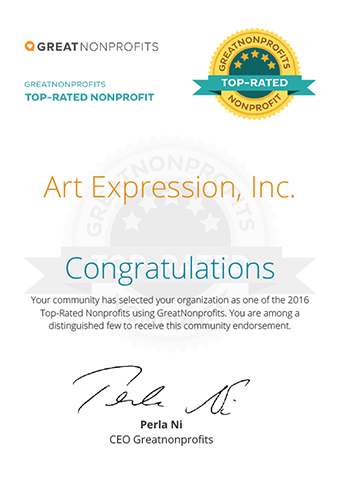 Art Expression, Inc. has been honored with a prestigious 2016 Top-Rated Award by GreatNonprofits, the leading provider of user reviews about nonprofit organizations. 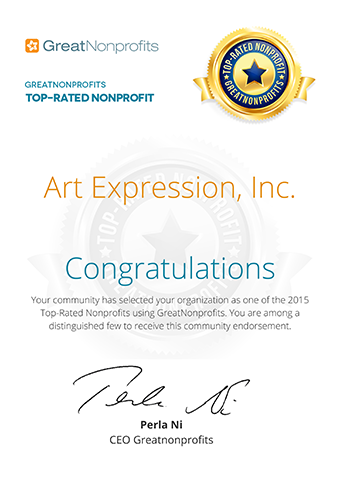 Art Expression, Inc. has been honored with a prestigious 2015 Top-Rated Award by GreatNonprofits, the leading provider of user reviews about nonprofit organizations. 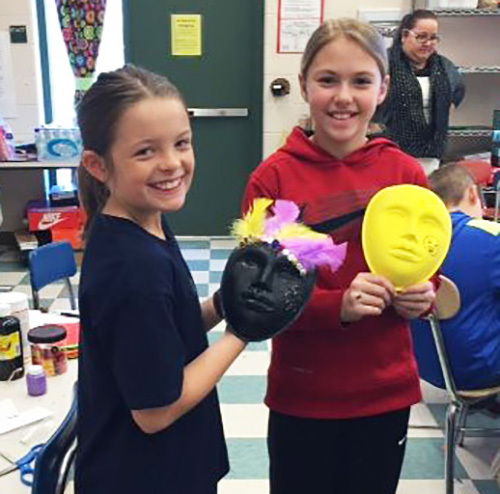 In 2015, Art Expression was selected for membership in the Allegheny Partners for Out-of-School Time (APOST) Quality Campaign. The APOST Quality Campaign is a group of out-of-school-time providers who have been chosen by a committee of their peers after a rigorous assessment process. Membership in the Campaign signifies a strong commitment to quality and continuous self-improvement. Art Expression, Inc. has been honored with a prestigious 2014 Top-Rated Award by GreatNonprofits, the leading provider of user reviews about nonprofit organizations. Art Expression, Inc. was chosen as one of 50 finalists distinguishing the program as one of the top arts- and humanities-based programs in the country. 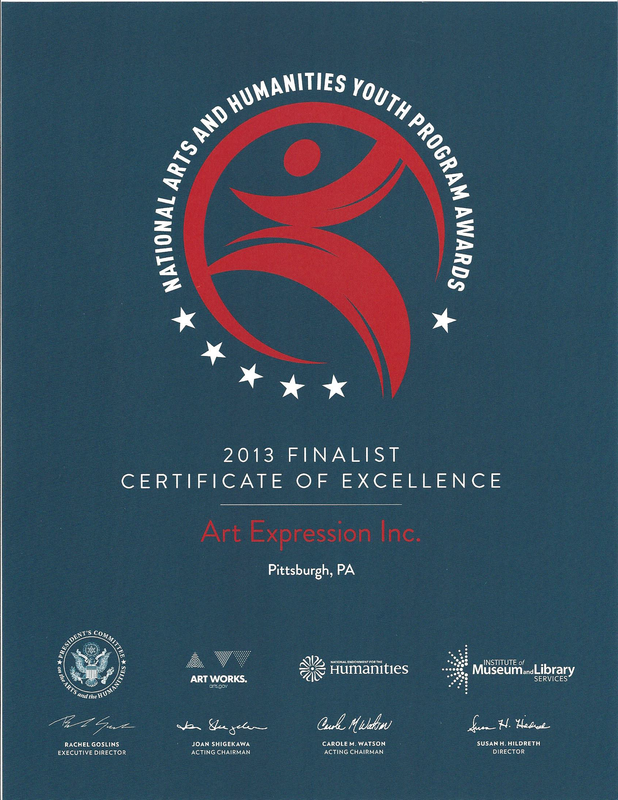 Art Expression, Inc. has received a 2013 NAHYP Award Certificate of Excellence. 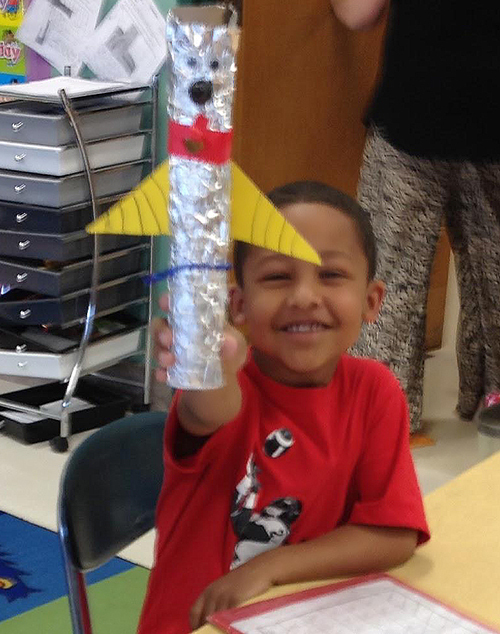 Art Expression designated as a Model Art Therapy Programs in K-12 Schools. U.B.S. will match employee contributions (up to $1,000) made to Art Expression Inc. Recipients of this award are a school or school district that has developed an outstanding practice of supporting the education of those receiving special education services and/or fostering the partnering of students, parents and professional staff members to benefit students receiving special education services.